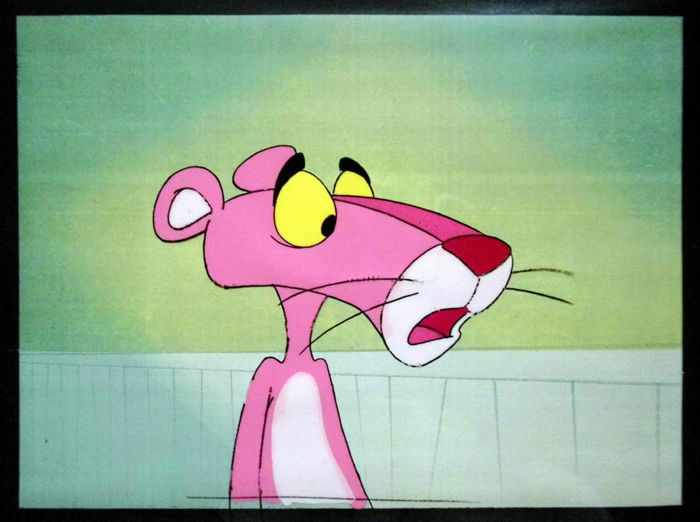 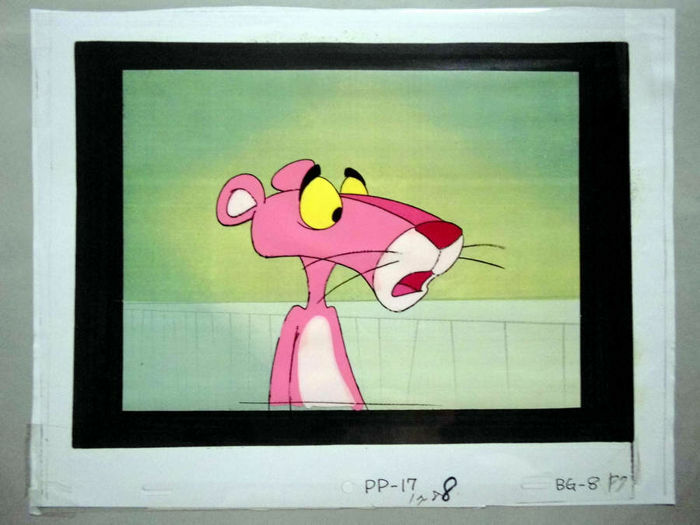 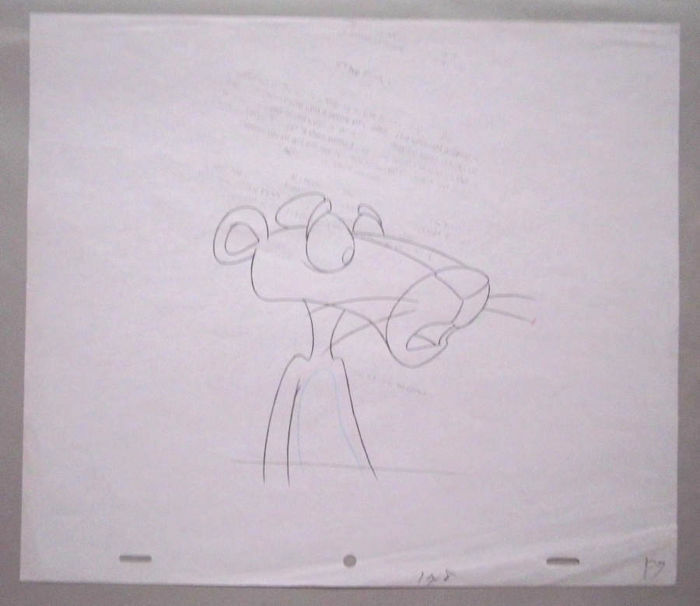 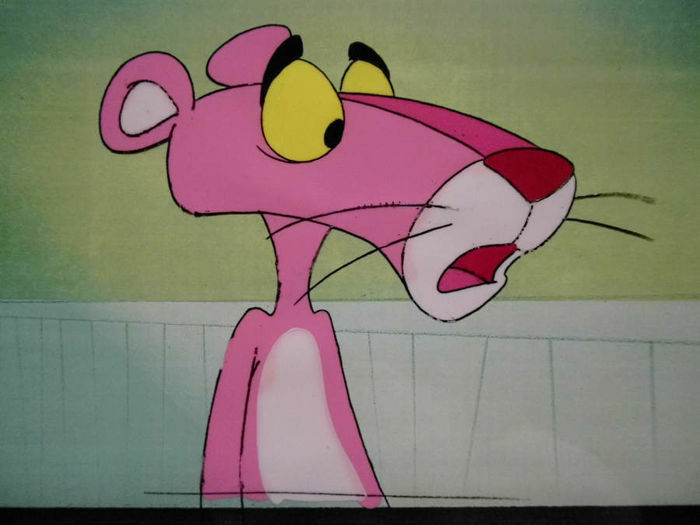 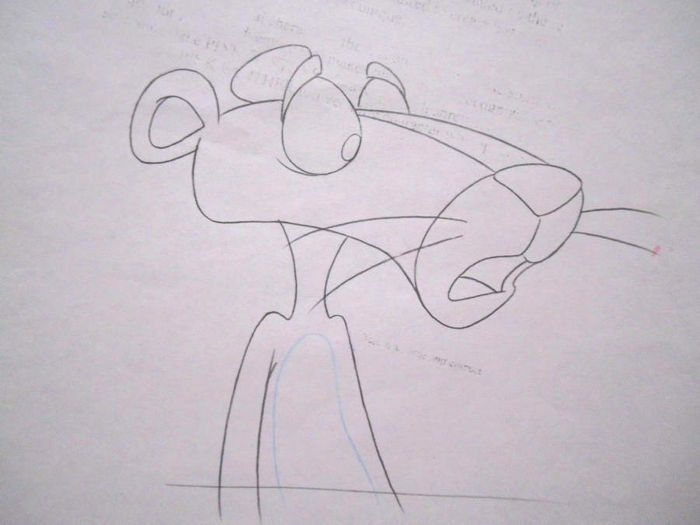 Hand made by the artist animation cel from a production "Pink Panther"; very popular cartoon from years 1969/80. 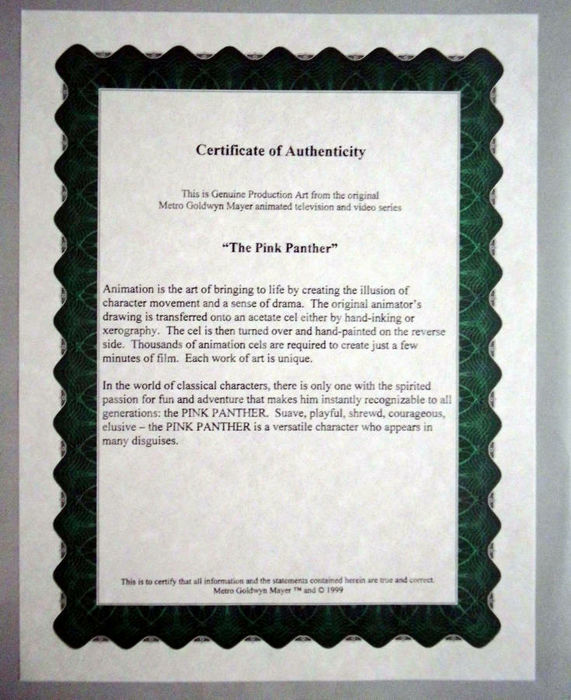 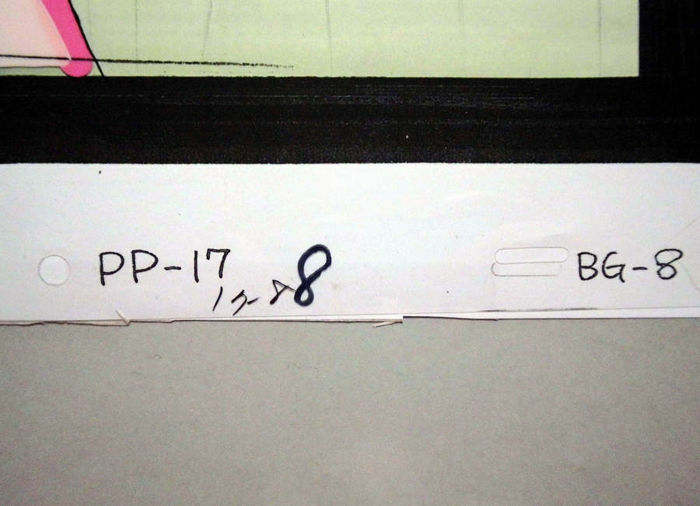 Also in this set Certificate. 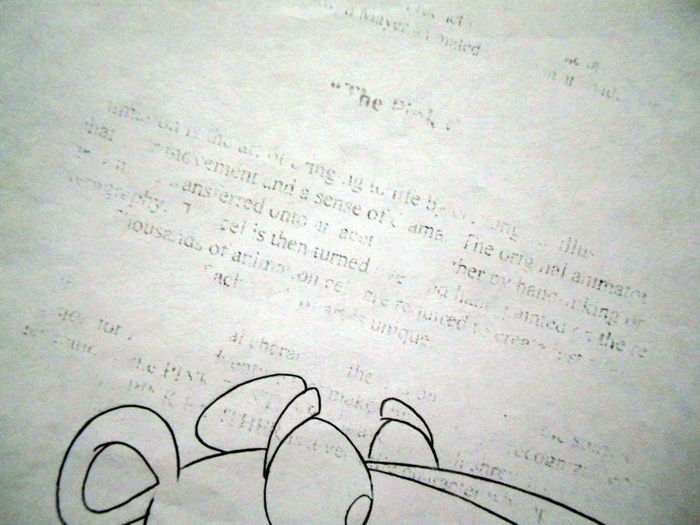 I'm selling with a matching, laser printed background and hand made pencil's drawing (with reflected letters).